Incorporated in 1981, as a public sector enterprise of the Government of India National Aluminium Company Limited (Nalco) is Asia’s largest integrated aluminium complex, encompassing bauxite mining, alumina refining, aluminium smelting and casting, power generation, rail and port operations. 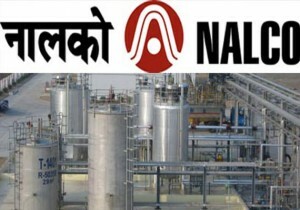 Commissioned during 1985-87, Nalco has emerged to be a star performer in production, export of alumina and aluminium, and more significantly, in propelling a self-sustained growth. Date & Time of Interview: 21-06-2014 at 10:00 AM. Life Force is hiring homeopaths for Mumbai branches. candidates belong to other state may be eligible to apply or not……. Is other state candidates can apply? big joke …12000 for doctor, we all must avoid these kind of jobs .. homoeopathy ko mazak samajh liya hai sabne.